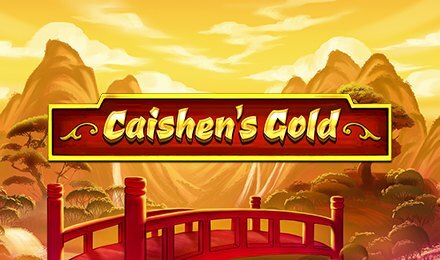 Caishen’s Gold slot is a 5 reel and 243 ways to win game that comes jam packed with awesome graphics, animations, symbols, features and bonus rounds. Meet the God of Wealth on Caishen’s Gold slot, where you may find yourself surrounded with a strong aura of luck. Pragmatic Play offers you a game that you can enjoy on, with a common theme, but unique characteristics. Symbols you will find on the reels are; baby boys, baby girls, Caishen, Yueqin, Hand Fans, A, K, J, Q, 10 and 9. Enjoy the bonus round of this game, where you stand the chance to trigger one of the four available jackpots on the game. Toggle the + or – buttons, which will help you set your preferred bets. All wins on the slot grid will be awarded from left to right when formed on active paylines. The Autoplay option of the game, allows you to play a number of auto spins without you having to intervene. These are; 10, 20, 30, 50, 70, 100, 500 or 1,000. Bet Levels: Select bet levels from 1 to 10. Amount of Paylines Selection: All 243 ways to win are standard. Coin Values: Set your stakes from £0.01 to £0.50. Caishen is the wild of the game. He substitutes for all other symbols except for the scatter symbol. This also triggers the bonus round of the slot. When a wild symbol appears in the base game, this round is triggered. The bonus round offers you the change to trigger one of the four available jackpots, which comes with a multiplier value. Mini Jackpot – 30x your bet. Minor Jackpot – 50x your bet. Major Jackpot – 100x your bet. Grand Jackpot – 1,000x your bet. The Gold Door acts as the scatter of the game. This triggers the Free Spins Feature, when three or more land on the reels. Line up 3, 4 or 5 Gold Door symbols on the grid and this will trigger the specific feature. Bag up 10 free spins, which are then played on an alternate set of reels. All symbols except for low card symbols appear on the grid.